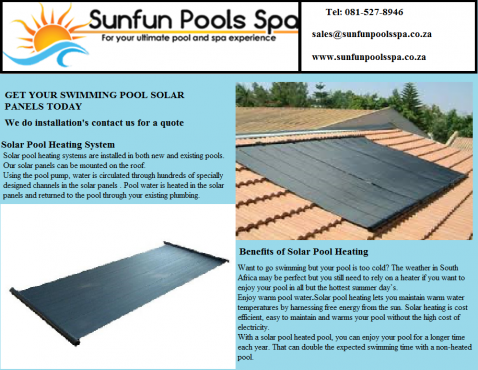 FINEST POOLS & THATCH: ASK ABOUT FREE SOLAR HEATING SYSTEM on NEW POOLS. 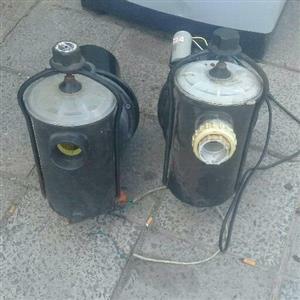 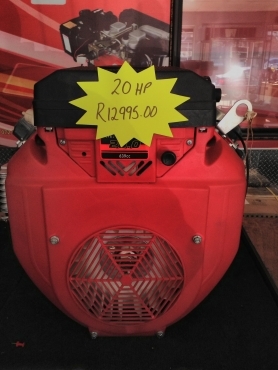 Special now on! 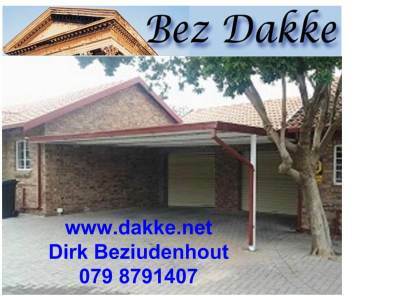 4x4m Marbelite R33,000. 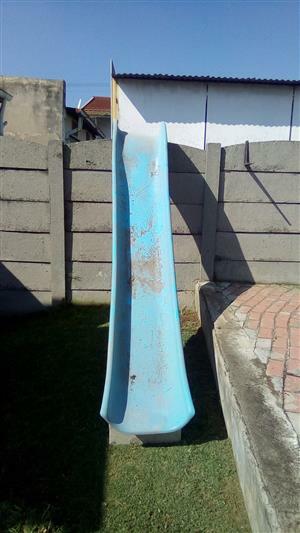 4x4m Fibreglass R36,000. 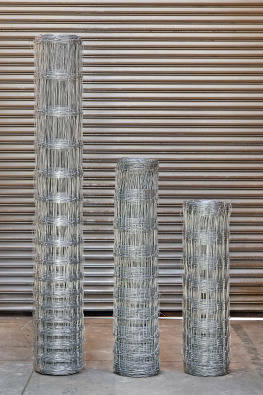 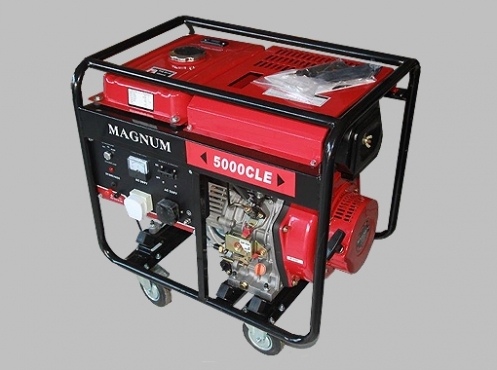 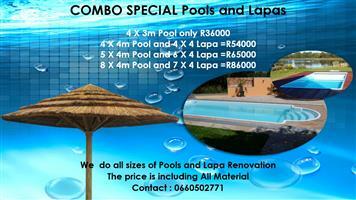 COMBO SPECIALS: 4x4m + 4x4m lapa for R38,000. 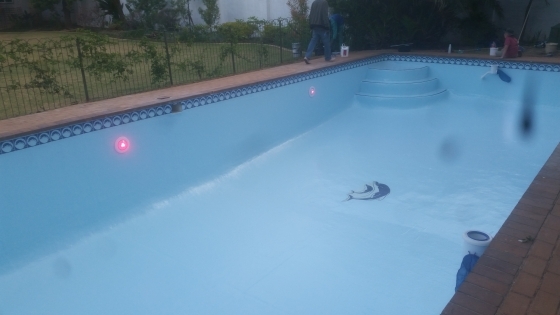 For all your pool repairs: Fiberglass, marble-lite, pump, filter and any other pool repairs We build pools from scratch as well. 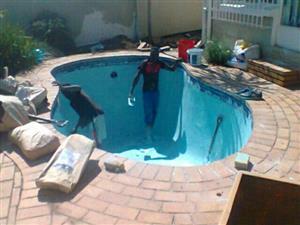 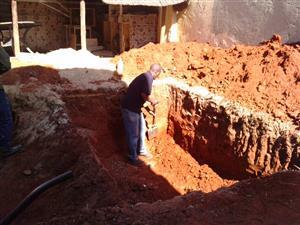 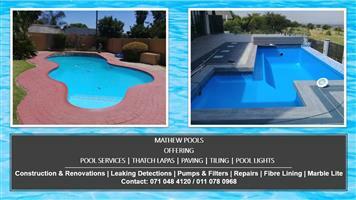 Weekly maintenance of pools also offered in the East Rand area. 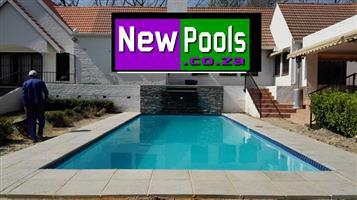 Get an email notification for any Results in Swimming Pools in East Rand when they become available.